You do not have to buy any mailwizz/Interspire/PMTA as i have everything ready to set up. Note: Update time is within 48 hours of time. Send me message first and then place the order. Excellent and patient to handle problems. Thanks. Excellent and very efficient !. Thanks Shariful. Wish to work together for the next project. Excellent job done by Shariful. He was on top and very quick. I have 7 years’ of experience in the following areas: Email Marketing, GDPR Compliance Expert in Email Marketing. Affiliate Marketing, Bulk Email Marketing, Responsive Template Designing...Read moreI have 7 years’ of experience in the following areas: Email Marketing, GDPR Compliance Expert in Email Marketing. Affiliate Marketing, Bulk Email Marketing, Responsive Template Designing and Coding, Email Content Writing, Internet/Online Marketing, Bulk & Mass Emailing Using Interspire and Dedicated Email Server, Advertising on Craigslist & Backpage, SEO/SMM/SEM. I can setup Aweber/Get Response/MailChimp/iContact/Constant Contact/Campaigner/Graphicmail. I have 900 Million segmented/targtaed Email lists worldwide, Premium Power MTA & Premium Interspire Addons to Optimize the Bulk Emailing Result. 1. HTML5, CSS3, Photoshop, Illustrator, PSD to HTML, Wordpress. 2. 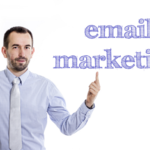 Email Marketing, Bulk Emailing, Email Handling, Email Scraping, Email Verification and Segmentation. 3. Responsive Email Template & Newsletter, Landing Page Designing and Coding. 4. Get Response, Campaign Monitor, Mail Chimp, Constant Contact, Aweber, Icontact and etc. 5. Setting up Power MTA with interspire, IP rotation, DKIM, SPF, RDNS, MX, DMARC. 6. Targeted, Warm, Buyers’ Traffic & Lead Generation through Bulk Emailing, Solo Ads & Social Media Marketing. 7. Affiliate Marketing, Products Selection, Product Research, Niche, Conversion strategy, Sales funnel, List building, Follow Up, Strategy Growth, Split Test & A/B Testing & CPA. 8. Social media marketing by creating profiles, Increase Buyer’s Traffic and Backlinking. 9. Increase your opt-in, sales, open rate and click rate & Bringing Targeted Leads, Opt-ins & Subscribers. 10. Creating free-website to promote a particular website, Website Hosting and Domain Set Up.